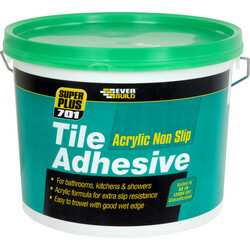 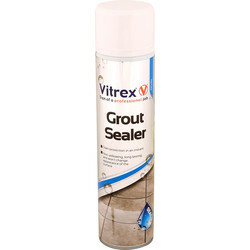 Attach tiles, seal the gaps and prevent mould or discolouration effectively with tile adhesive and grout at Toolstation. 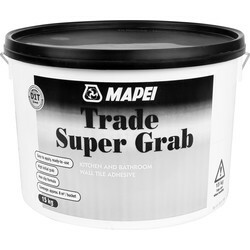 We stock a range of powered and ready mixed wall and floor tile adhesives and grouts from top brands such as Everbuild, Mapei and Evo-Stik. 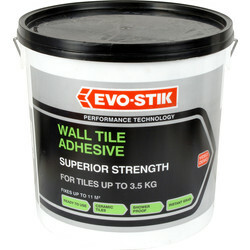 We supply floor tile adhesive including Evo-Stik fast set floor tile adhesive suitable for concrete and wooden floors that sets in just 4 hours, ideal for most tile materials including ceramic, granite and more. 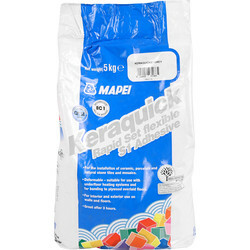 For wall tiles choose a specialist wall tile adhesive such as Mapei Keraquick tile adhesive, an acrylic based formula for extra slip resistance and grab available in 2.5 and 5 litres. 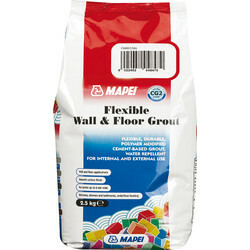 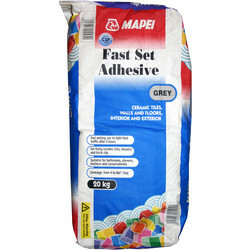 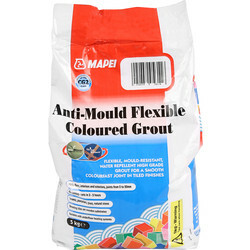 Fill the spaces between tiles with Mapei Anti Mould Tile Grout 5KG suitable for all types of tile and a 3-hour set time, or grout reviver to restore discoloured grout to a bright white finish whilst preventing mould with Forever White grout reviver. 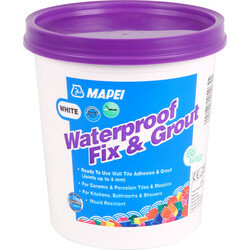 To prepare showers for tiling, it's essential they are completely waterproof. 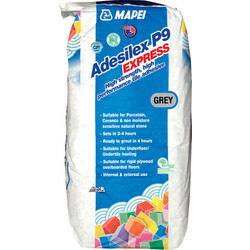 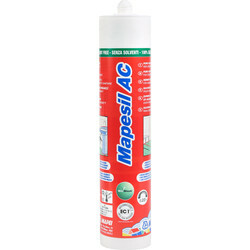 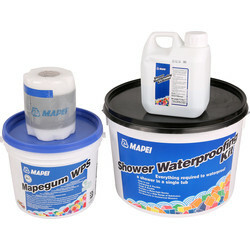 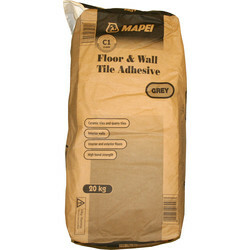 We stock the Mapei shower waterproofing kit to ensure you get the best results. 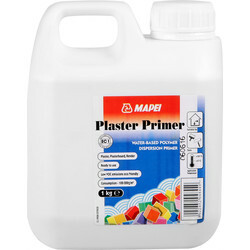 Spend over £10 online for free delivery of your items or click and collect from your closest Toolstation branch.